Is pricing a complicated process in your company? Are there various versions or possible configurations for your product? Do you draw up quotations on the basis of Excel tables? Do you have different discounts or different price lists for each customer group? Or do the prices of your products simply change frequently? Then it would be worth your while talking to us about pricing in Salesforce. Pricing and drawing up quotations takes a great deal of time in many companies with a lot of products or solutions that can be configured in many different ways. Large companies therefore frequently opt for complex CPQ (configure, price, quote) solutions. Configuration, pricing and drawing up quotations is also complex for medium-sized companies, however, and requires an efficient solution. With the off-the-shelf CPQ solution from SteelBrick, we can organise pricing and drawing up of quotations for you without media discontinuity. We implement SteelBrick into your version of Salesforce, adapt the CPQ solution to your price structure and create templates so that you can generate offers in your corporate design at the press of a button. SteelBrick CPQ is a software package that can be used immediately and is easy to operate. It is simple to set up, pays for itself and is effective in supporting your successful sales growth. 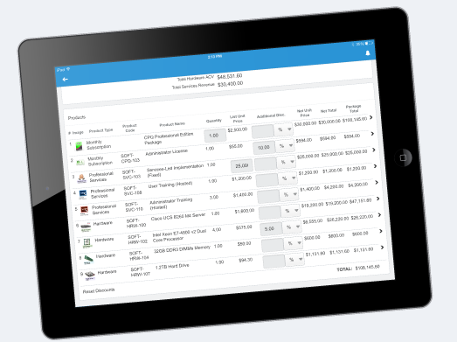 The configure-price-quote app from SteelBrick has been created to be 100% native in Salesforce. 100% native means that the application looks identical to Salesforce and works in exactly the same way, which means that no specialist knowledge is required. 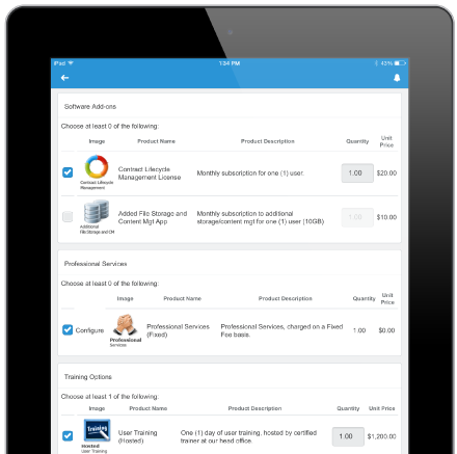 The CPQ app is managed in your company by a Salesforce administrator. Just as in Salesforce, reliability, scalability and security can be taken for granted with SteelBrick. Ensure consistent prices and discounts. Create customer-friendly quotations easily and accurately. Simple processing of volume discounts, subscription fees, pre-negotiated prices and partner-specific discounts. Configure products and services taking account of your business processes and product logic. 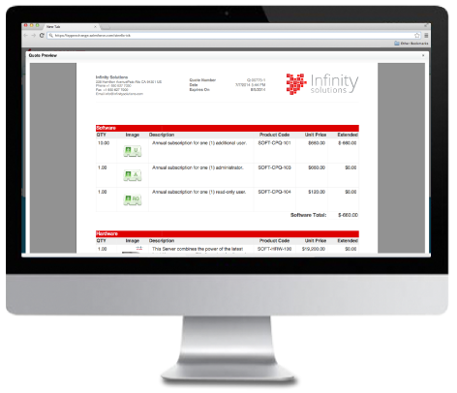 Would you like to organise your pricing more efficiently and create quotations with no errors? Get in touch with us. Are your price calculations complex? Are you still issuing quotations involving complicated price lists, contracts and discounts without an automated process? Find out how you can avoid sources of errors and become many times more efficient in creating quotes.